The United States has asked Greece to deny Russia the use of its airspace for supply flights to Syria, a Greek official said on Monday, after Washington told Moscow it was deeply concerned by reports of a Russian military buildup in Syria. The Greek Foreign Ministry said the request was being examined. Russian news wire RIA Novosti earlier said Greece had refused the U.S. request, adding that Russia was seeking permission to run the flights up to Sept. 24. Kremlin spokesman Dmitry Peskov said Moscow would not give any official reaction until there was a decision from Athens. Russia, which has a naval maintenance facility in the Syrian port of Tartous, has sent regular flights to Latakia, which it has also used to bring home Russian nationals who want to leave. 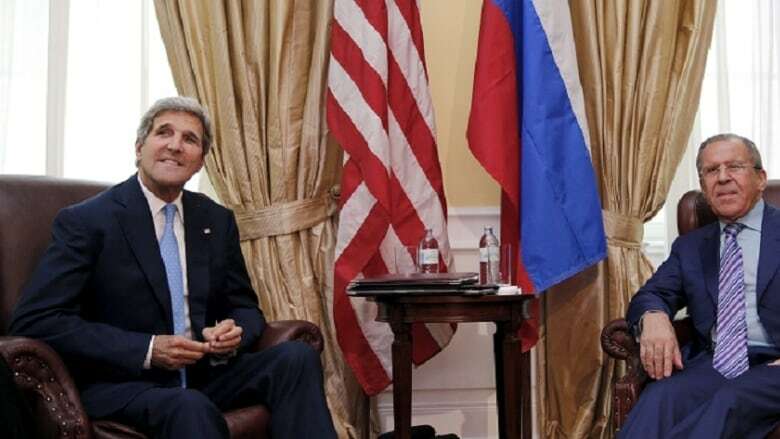 U.S. Secretary of State John Kerry told his Russian counterpart Sergei Lavrov on Saturday that if reports of the buildup were accurate, that could further escalate the war and risk confrontation with the U.S.-led alliance that is bombing Islamic State in Syria (ISIS). Lavrov confirmed Russia had always provided supplies of military equipment to Syria, saying Moscow "has never concealed that it delivers military equipment to official Syrian authorities with the aim of combating terrorism." Russia has been a vital ally of President Bashar Assad throughout the war that has fractured Syria into a patchwork of areas controlled by rival armed groups, including ISIS, leaving the government in control of much of the west. Russia has been trying to build a wide coalition including Damascus to fight ISIS, which was reported on Monday to have captured an oil field from government forces near the city of Palmyra. But the idea has been rejected by the United States and Saudi Arabia, who see Assad as part of the problem. The newspaper, which is well-connected in Damascus, said nothing had been decided about "the nature of the weapons that Damascus might receive, though the Syrians asked to be supplied with more than 20 Russian attack helicopters, of the Mi-28 type." Germany also voiced concern on Monday about reports that Russia was moving toward a military buildup in Syria.